Linda, like many moms, wears multiple hats. As a mother, she wants to help leave her children a safer, more sustainable word. As an advocate, she supports increasing our use of clean energy over dirty fossil fuels to help clean our air and environment as a whole. Finally, as a consumer, she wants to do these things without breaking the bank. This is where TOU electricity pricing comes in. As Linda notes, Californians will soon have the opportunity to adopt TOU when Pacific Gas & Electric, Southern California Edison, and San Diego Gas & Electric transition all residential customer to this program in 2019 – with the option to opt-out for those who prefer tiered rates (the option currently in place for these customers). This will improve the resiliency of the electric grid and optimize the use of California’s growing clean energy resources. 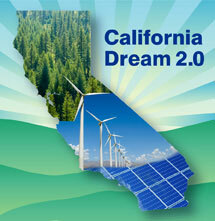 To illustrate how, she uses the example of California’s ample and growing solar power resources. The state currently produces so much solar energy, sometimes it produces more than it can use. Under TOU, electricity will cost less when this resources is abundant, incentivizing people to use energy during that time. To get the most out of this tool, Linda rightly illuminates that just as California families and residents are diverse, their electricity pricing options should reflect their different needs. This is why she calls for utilities to create options that fit for tech-savvy Bay Area and Silicon Valley customers and people who already use tools to manage their energy use like smart thermostats. These options, paired with effort from the utilities to empower all of their customers – including elderly and low-income Californians – by studying how their bills may be impacted, will ensure this program is successful for everyone. Environmental Defense Fund will also be busy in the coming months advocating for a menu of varied pricing options. Ensuring the utilities inspire the use of new technologies and empower those who already use energy management technologies (like smart thermostats) to shift their use will also be part of our strategy. In the meantime, if you live in California, why not listen to a mom and consider jumping on the TOU train now? Simply contact Pacific Gas & Electric, Southern California Edison, and San Diego Gas & Electric today to sign up. 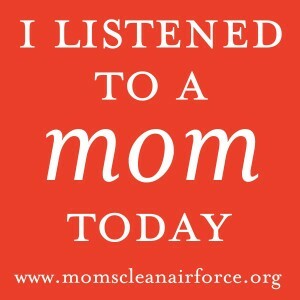 This entry was posted in Clean Energy, Electricity Pricing, Energy, General and tagged California Public Utilities Commission, Moms Clean Air Force, Time-of-use, Time-of-use pricing. Bookmark the permalink. Both comments and trackbacks are currently closed.